Homeowners need to keep tabs on so many maintenance tasks and that can be overwhelming. By allowing professionals like us at the Air Duct Cleaning Yorba Linda to undertake important activities like air duct cleaning can be a huge relief. Although you may think that cleaning can be done on an as-needed basis, it is recommended that you get the ducts checked regularly to ascertain if cleaning is essential or not. Most of us follow preventive measures like keeping the home as dust-free as possible, monitoring the furnace or air conditioning unit, and using a highly-efficient filter available and cleaning or changing it regularly. However, we suggest you clean the duct every few years for a healthier home. The quality of indoor air is vital and proper cleaning and functioning of heating, ventilating and air conditioning (HVAC) system is essential to sustain a healthy and comfortable living environment. We assess air ducts for grime, dust, allergens, presence of pests and other airborne contaminants. These are sucked into the heating or cooling systems when they are turned on, slowing making their way up to the ductwork, which now serves as a breeding ground for bacteria, mold and other microbes. Further they are re-circulated to the home and the cycle continues. If you happen to suffer from asthma, allergy or other respiratory ailments then it can get really worse. Our technicians are armed with ample knowledge and experience to remove harmful contaminants from your home. We follow a simple and efficient procedure beginning with carefully reviewing the cleaning services requested. Further we take time to explain the importance of cleaning the ducts and indoor air quality and the methods that we employ. Further we use powerful systems and specialized tools that help dislodge the dirt and debris and ensure that the contaminants are collected and disposed responsibly. The ducts may have collected years of dirt and debris but it can be easily removed in a matter of few minutes to hours. All you are left with is a clean looking duct that allows air to flow through effortlessly without carrying any contaminants. 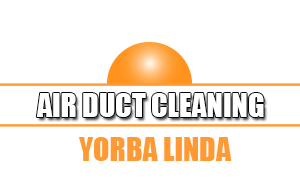 As most health experts unanimously agree on the benefits of regular and proper duct cleaning, the team at the “Air Duct Cleaning Yorba Linda” are all set to use some of the most powerful and efficient air duct cleaning systems available. Give us a call today and schedule your cleaning appointment.